Abhinav Shukla and Rubina Dilaik have a surprise for their fans on this Valentine's Day! Abhinav Shukla and Rubina Dilaik will be combining travel and music in the most unique way! Newly weds Abhinav Shukla and Rubina Dilaik who tied the knot last year in a private wedding amidst the hills have been up to a unique adventure of their own! The couple who loves traveling has been exploring exotic locations and they have managed to combine each of their strengths to create beautiful music videos. 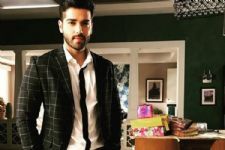 When we spoke to Abhinav, he revealed, "Rubina conceptualizes the song as well as writes and sings it while I manage the shooting, edition and production. There is no crew, there is no vanity van or large team; the team is the two of us! We are climbing the rocks and the mountains while shooting and managing it between the two of us." Speaking about the experience Rubina further elaborates, "Its not easy but we love the challenge! While many like to travel and others love music, we decided to combine our passions and create something that is 'us'. I become my own make up artist, hair dresser, spot and everything while Abhinav, on the other hand, singlehandedly manages to carry all his equipment in a backpack and shoots everything from start to finish." Their first song is about love and has been shot in a secluded island in Indonesia which has just opened up to the public a few years ago. While we have heard of many different combinations in the past its the first time that travel and music are coming together! And their first song releases this Valentines Day! 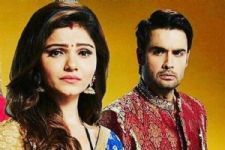 On the work front Rubina is currently starring in Colors Tv's Shakti Astitva Ke Ehsaas Ki opposite Vivian Dsena. 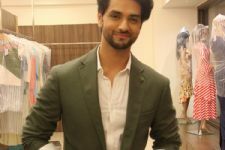 On the other hand, Abhinav was last seen in Silsila Badalte Rishton Ka.